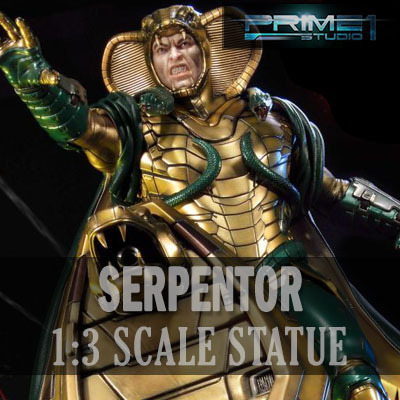 Sideshow and Prime 1 Studio are proud to present Serpentor from G.I. JOE. Serpentor is one of the major antagonists of the G.I. Joe series. This pretentious, egocentric, vindictive, murderous, arrogant, sadistic, merciless, barbaric, and insane leader serves as the Emperor of the Cobra organization. The Cobra Emperor stands at an impressive 32 inches tall on his air chariot's engine turbine.